Lead Generation – How cold can you go? Lead generation is normally about creating content to download and capturing an email as a lead. This can be a very difficult task in some niches as creating downloadable content is yet another task to do in a small team. Creating content for SEO and thought leadership is a higher priority at the beginning. However during that period, the anonymous website visitors can give valuable insights to potential new clients or even new industries to target. The 3 Business Intelligence tools on trial are Leadfeeder, Fastbase and the new kid on the block Leadberry. These are defined as business intelligence tools aimed at turning anonymous website visitors into actionable leads. 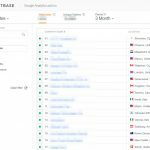 This is done by connecting a Google Analytics account to one of these platforms. Their magic lies with using a combination of connected accounts, IP recognition, and Google Analytics to create a visitor profile for Sales & Marketing to get better insights. All are very quick, create an account link to Google Analytics (GA) and then let the tool run a report i.e scan the connected Google Analytics account. After a minute or two, the leads start to appear before your eyes. Due to the client sensitivity of the information the screenshots are obscured. Fastbase comes last here but this is a plan of theirs. Their plan is to only be a slight enhancement to GA. “Turn your web visitors into real company names and the people behind them. Install Fastbase Web leads in one single click”. Leadfeeder is a little old-fashioned in their design but maybe the wood background is a tip of the hat to their Finnish roots. Leadberry wins here as it looks as modern as can be with a slick interface and shows that it is a start-up with their cartoon logo. It might be something that they might need to be thought about when approaching the B2B market. Leadfeeder focuses solely on Linked-in here and nothing else. Fastbase add Xing (a LinkedIn clone to those outside the DACH region) to LinkedIn to catch some more leads to reach out to. This makes it a great research tool for Sales and also fantastic in journalist research for PR purposes. Fastbase decided not to enter this race. Leadberry integrates with the startup friendly CRM systems Pipedrive, Zoho and Insightly. Leadfeeder also integrates with Pipedrive and Zoho as well as webCRM but adds the more professional Salesforce to their CRM mix. On top of that, they add Mailchimp integration. Through the Mailchimp integration, the contacts that are driven to your site through Newsletters or other email campaigns are visible. For both Leadfeeder and Leadberry it is possible to assign “leads” to other sales teams for follow up, allowing a lead management to be run from both platforms. Fastbase stays true to the basic GA filters and nothing more. Leadberry is also strangely light in this department, in fact they add nothing much more than fastbase. This will be short. All allow for CSV exports or straight xls exports. Nothing more is needed here until the feature sets grow. Maybe a view of leads assigned/followed up on but that will need stronger integrations with CRM systems to work. 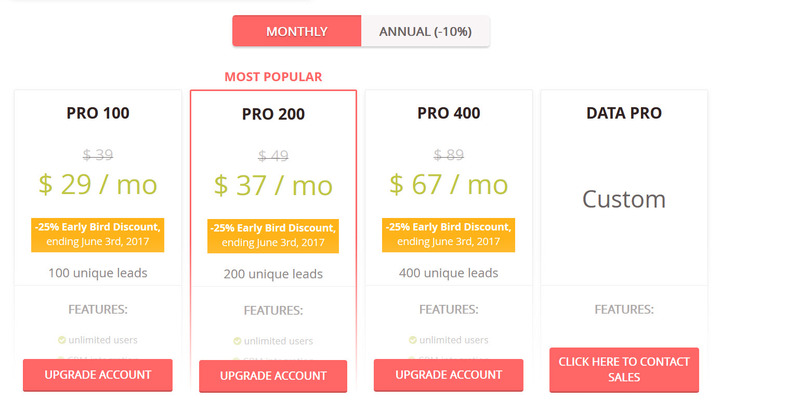 As you can see Fastbase has offers from 0-$49 per month, Leadberry $29-$67 the beta pricing scheme and Leadfeder $59-$299. What is not easy to find is that Leadberry actually have a Leadberry Light account, which is free. 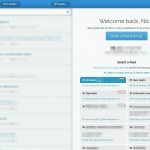 Fastbase only offers connecting one site per account, as does Leadfeeder. With Leadberry 3 sites can be connected. Leadberry pricing – missing here is the hidden Leadberry Light which is free. To turn any of these tools into a powerful sales tool, a Sales Navigator account is needed, only then are these tools actual lead generators. All try to find a relevant email contact that might have been the one visiting the site but that is a raw guess. To effectively create leads here, it is best to match the emails suggested by the platforms against buyer personas for outreach campaigns. Leadberry won the most first places and is probably the better tool for startups on a tight budget. 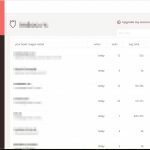 I personally feel that the filter system on Leadfeeder is a standout feature that makes it more suitable for both Marketing & Sales to use. For Marketing, it is possible to use Leadfeeder for content creation tips and also running industry specific campaigns or even for event planning. If budget is not an issue Leadfeeder wins, if it is then Leadberry does. All three tools offer a a free trial period. This is an interesting and insightful article. Thank you for taking the time to summarise. Very informative post!! I have used few prospecting and Lead generation tools like AeroLeads, rainClutch , Rapportive and it’s really helped me a lot to increase my business reach!